Social media has emerged as the number one media of contemporary times. It has great power to amplify the voice of common people and help them mingle with their tribe. A large part of the global population is now connected via various burgeoning social networks, where they share experiences and stories and consequently, influence each other’s perceptions and preferences. Nearly half of young people are more comfortable using social media and messaging apps to talk to people they did not know. As of the third quarter of 2017, the most popular social networks was YouTube and Facebook with a 30 per cent penetration rate each. WhatsApp was ranked third with 28 per cent reach. India ranks second among countries with the most Facebook users, accounting for 11 per cent of global Facebook audiences in April 2017. However, while such has been the rise of social media, the online communication tends to get complicated or mundane after a point. Users often encounter problems like lack of interesting content, limited ways of expressing themselves, too many heavy apps and memory space crunch. However, in this digital world of superior technology, there are solutions for everything. Here are a few apps to enhance the social media experience of users. Facemoji – Facemoji allows users to make everyday conversations interesting with its extensive collection of over 1200 Emojis, 1000+ stickers, over 50k kaomoji, endless GIFs and plenty of skins. In fact, Facemoji keyboard enables emoji prediction while chatting in over 30 languages, giving its users the perfect ease and convenience. Present across American, Europe, Southeast Asia and Mid-East, Facemoji keyboard is currently aiming for a multi-fold growth in India. Committed towards coming up with Indian-centric features, the Facemoji keyboard currently supports top 22 local Indian dialects. Furthermore, the keyboard supports input in Hinglish and Hindi (abc). Rated as the most popular keyboard for American teenagers, Facemoji keyboard has crossed 30 million downloads across the globe. Musicaly – It helps to Create awesome short videos with editing tools and share with the world through social media platforms. With musicaly, you can use its music and sound library, stickers, face filters, beauty effects, and more for your videos! Easily edit your videos with thousands of free music clips and sound effects! It creates featured music playlists for the users, with the hottest tracks in every genre, including pop, rock, rap, electronic, R&B, country, and more. 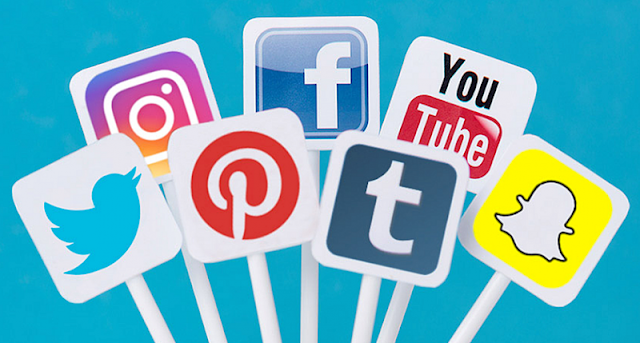 All social networks - All Social Networks is an application that groups and provide an easy access to all social networks namely: Facebook, Twitter, Instagram, Snapchat and WhatsApp. With the super fast and light browser, you have the possibility to browse all the Social Network in a simple click. Dual space - The first application that is completely compatible with WhatsApp. If you find WhatsApp crashing in other cloned application, please choose DualSpace. They can guarantee the running stability of WhatsApp. You can easily use one phone to log in multiple accounts and keep them all online at the same time! And you don’t need to worry about the message reception and data storage problem of different accounts, because they will work independently and with no interference to each other.